On today’s tech podcast, I talk to Benjamin Bilski from the NagaGroup. Fans of the crypto and blockchain space will probably be aware of the NAGA Coin but I wanted to find out more about his story and vision for the Naga group. 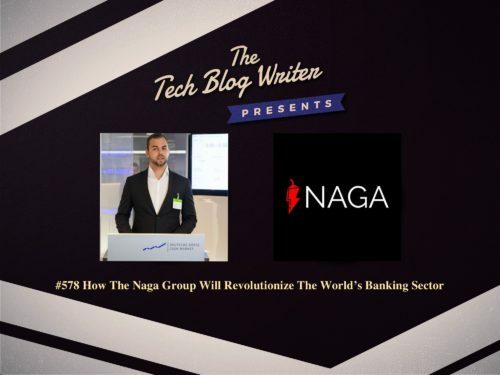 Founded in 2015, NAGA successfully IPO’d in 2017 and then acquired the world’s second largest ICO investor base with more than 63.000 subscribers in the token sale (raised > 50m USD) just a few months after the company’s debut on the Frankfurt Stock Exchange. Benjamin Bilski, a Forbes 30 under 30 Member, is a serial internet entrepreneur. He is the Founder and Executive Director of one of Europe´s fastest growing FinTechs, The NAGA Group AG. The company performed Germany´s most successful IPO 2017 only 21 months after its incorporation and is valued at $250 Million on the Frankfurt Stock Exchange. He also is one of the key persons behind the NAGA COIN ($100m Market Cap), a digital cryptocurrency for stock and virtual item trading. Benjamin also founded Germany´s leading Online-Shop for Fishing & Outdoor equipment, angelplatz.de. He holds a M.Sc. in Management from EBS University of Business & Law. Benjamin is a is a former German swimming champion and was part of the German National Team in swimming.